Most insurance companies reimburse for at least a portion of mental health services. While the client is responsible for fees for services provided by our psychologists, as a courtesy to the clients we serve, we will gladly file claims to insurance companies to assist you in receiving your maximum benefits. In most cases a verification of benefits check can be done by our office prior to your appointment. Depending on the type of insurance, there may be a co-payment for services. Co-payments are due at time of service. Some insurance companies require annual deductibles and clients are responsible for knowing their deductible amount. If deductibles have not been met, clients are responsible for payment in full at time of service. 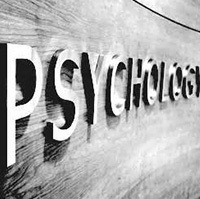 Fees for psychotherapy or psychological services with a master's level therapist begins at $115.00 and with a doctoral level clinician begins at $145.00. Typical fees for psychological evaluations range between $500.00 and $2,500.00 with 50% of total cost due upon first visit. Please contact the office with specific questions and/or visit the evaluations offered tab. Cash, check and all major credit cards accepted as payment options.